Obesity has become an epidemic, not only in America, but also around the world. Obesity has been linked to several serious health problems, including hypertension, diabetes, heart disease, stroke, cancer and infertility. The Centers for Disease Control and Prevention (CDC) states, “Obesity-related conditions include heart disease, stroke, type 2 diabetes and certain types of cancer, some of the leading causes of preventable death.” Preventable death is the key word here, meaning that you can make the choice to be healthy. That choice may be to skip those afternoon sodas at your desk. According to the CDC, almost 35 percent of the United States population is obese. The data suggests that approximately 78.6 million people are on track to possibly develop one or two of the diseases associated with obesity. Type 2 diabetes is already one of the country’s top killers. An interesting fact is that 86 million people have prediabetes, a number pretty close to the 78.6 million people who are obese. Caffeine, sugar and aspartame, oh my! There is no denying the overwhelming amount of sugar and caffeine that a 12-ounce can of Coke contains. 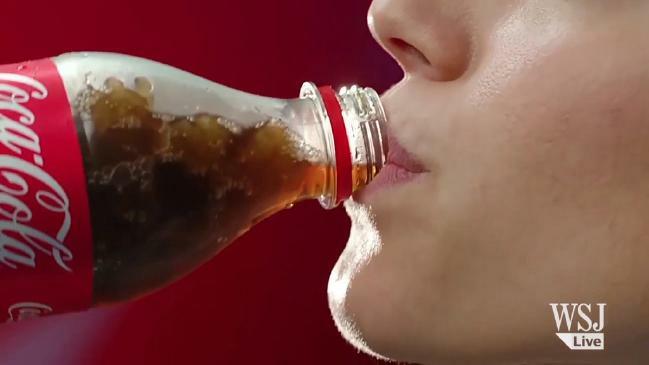 One can of coke delivers 39 grams of sugar to your heart, bloodstream, liver, kidneys, and all the other vital organs in your body — your temple. In addition to the caffeine and sugar in Coca-Cola, there is another lurking evil called aspartame. Aspartame is a frightening artificial sweetener that has been researched for its link to cancer. But with billions of dollars at stake, corporations are well known for their tendencies to sweep unhealthy ingredients under the mat, so to speak. While the evidence concerning aspartame’s ill effects is, as yet, inconclusive, it is certainly a highly controversial topic and one that seems to put profits before health. What is clear, however, is that consuming artificially engineered products of any kind is not beneficial to our well-being.